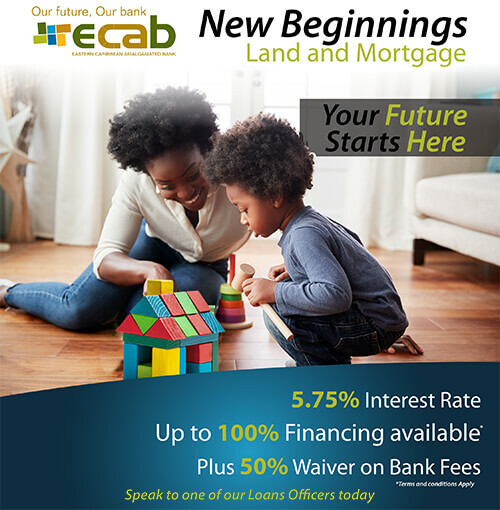 We are your financial partner for life! We are a unique Bank built on the hopes and dreams of our people. 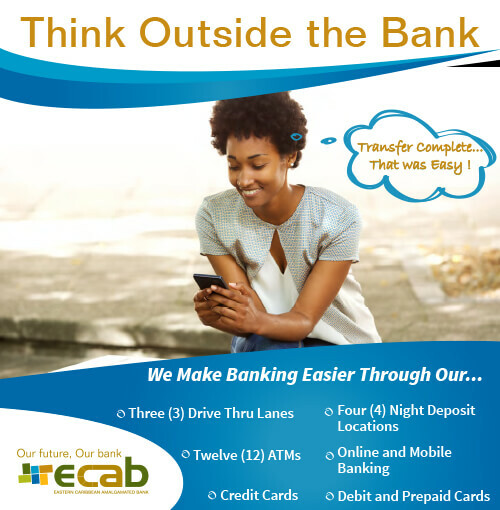 Through our association with banks throughout the OECS – ECAB has local roots with regional and international reach. 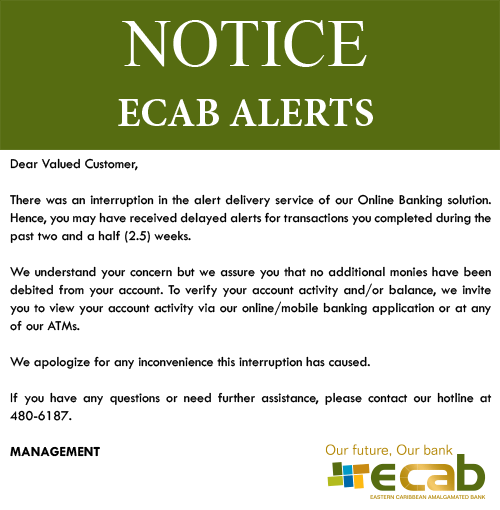 ECAB is the first bank in the region to be created exclusively through the strength of unity, for the customer and the community. We pledge to always put YOU first and to develop the kind of products and technology that are relevant to you and help you achieve your goals of a better life! We have the people, expertise, resources and portfolio to meet your diverse personal or corporate financial needs. Service Excellence, Integrity, Accountability and Customer Intimacy are the four main pillars on which our business is built. Your future is one that is shared by us! This sense of customer intimacy is what we know will bring you to us and keep you here. This is why we come to you confidently with a great expectation of having a lifetime relationship with you. Access any functionality associated with your accounts currently available. Our Retire EZ Account (REZA) offers great returns for your money.